Because of my poor memory, we're going to go a little bit off of the schedule this week ... not so much in time but in platform. I'll come right out and say that I messed up. It totally slipped my mind that I would be taking a trip next week starting on Wednesday night, which is kind of bad timing, right? So instead of changing over to the PS3 next week, we're going to mix it up. Since I'm still not familiar with what games everyone has and can't really deal with voting at the present time for the PS3, I'm just going to bump the console slots up and not do the PS3 next week. If you would like to let me know now what games you would be interested in playing on the PS3 (as well as which meeting times you can attend (see below)), you could put that down below for me, but it won't affect which game we're playing next week. As a result of the "console bump", we're meeting on the 3DS next Wednesday night for Mario Kart 7. It's more than likely that I won't be in a position to really get a "proper" post together in time for the Monday after next, and certainly won't be free to monitor voting for it, so keep an eye out for that because that's either going to be something really safe and easy like Team Fortress 2 or it may just be cancelled entirely (but that's very unlikely). I'll try my best to let you all know next Saturday or earlier. 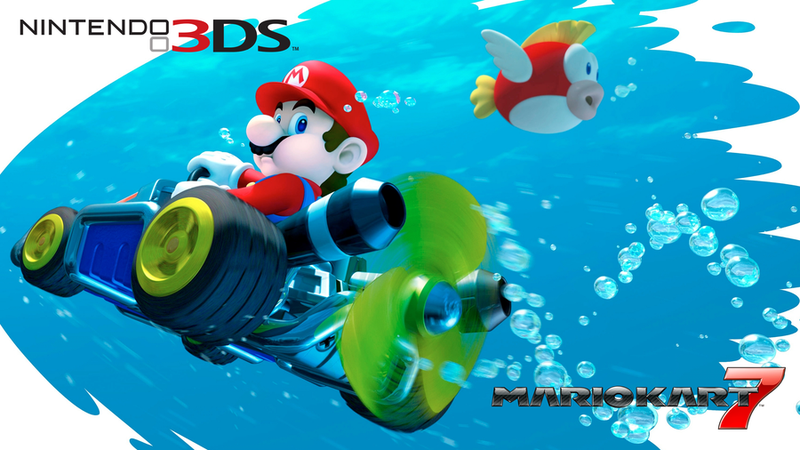 Just to reiterate, we're playing Mario Kart 7 on the 3DS on Wednesday, July 31st. I'll need someone to basically help organize everyone since I'll be in transit at the time. Battleborn, Astro, or anyone else, if getting "the group" together on the 3DS would be something you're able and willing to do, that'd be fantastic. Update: frogfro made a MK7 community! "I've called it TAY Game Night! and the code to access it is 18-7003-0662-7593. It's a 150cc Grand Prix with all items on. Be sure to join if you're planning on playing on Wednesday." We had a slight hullabaloo last week over times for Europeans, as there was a misunderstanding with the use of GMT past Daylight Savings Time. Just to clarify, if you typically use GMT during the wintertime and you're in Daylight Savings Time currently, you're probably in GMT+1 right now. Here's a website to double check to see where you are related to GMT. If you're an hour ahead, you might be on British Summer Time (BST). Please, for the sake of coordination, check to see where you are in relation to GMT currently, especially if you're a participant in the Euro-centric group. Currently, the times for Game Night are as follows: Euro-centric Times are at 4pm EDT (8pm GMT / 9pm BST) and Americas-centric Times are at 9pm EDT (1am GMT / 2am BST). Both times meet each Wednesday and every other Monday. If this miscommunication regarding GMT affected your voting, especially for Euro-centric meetings, let me know and we can try to vote on it again, but only do it if the current times are difficult for you to come to. That's it for this week. I massively donked up my arm somehow and it's pretty uncomfortable to type, so I'll be slow to the replies. I'll still be checking periodically for anything you all send my way regarding interesting PS3 titles and time problems, so don't let that discourage you. I hope you all have a great weekend and look forward to seeing you all around!